The Liamuiga Education Foundation was organized exclusively as a charitable foundation on January 23rd 2013. This organization is designed to improve the educational opportunities for underprivileged individuals in the community. The focus will be on providing scholarships for deserving individuals to get a chance at higher education. "Children are our most valuable resource (Herbert Hoover)." 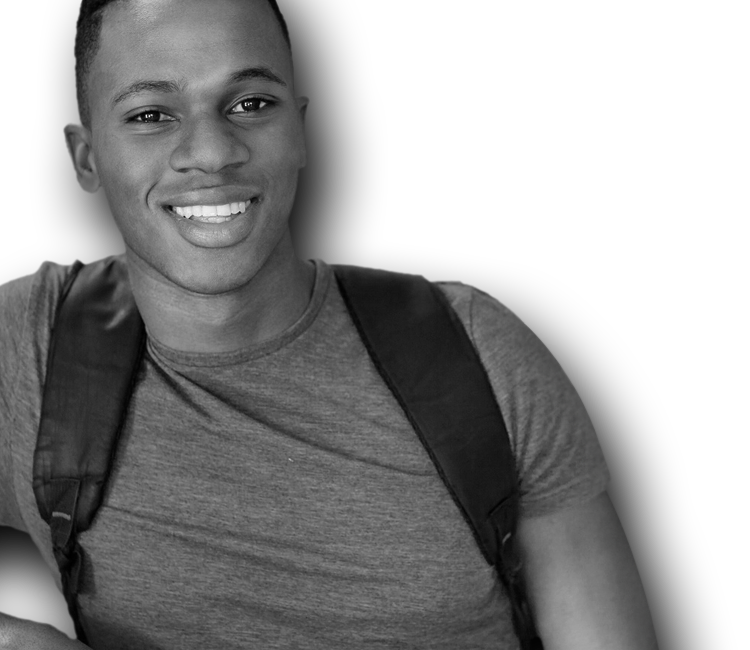 We firmly believe that the youth in St. Kitts and Nevis are our most cherished asset. Our 98% literacy rate allows us with confidence to extend resources towards the furthering of the younger generation. We believe that these underprivileged individuals would be successful if they are given the opportunity to advance their learning. We are also confident that the skills they will gather from abroad will prove useful in our economy to further advance our growing nation. Ms Natalie John is Chief Executive Officer of Caribbean Governance Consultants Inc. Ms. John also offers her consultancy services to various institutions around the region. She previously held the position of Manager – Registry, Issuer & Investor Services Division at the Eastern Caribbean Securities Exchange (ECSE) in St Kitts. At the ECSE, she was responsible for the Eastern Caribbean Central Securities Registry, for issuer and investor relations and getting companies and governments to list their securities on the ECSE. Prior to joining the ECSE, Ms John held the position of Export Credit Officer in the Financial & Enterprise Development Unit at the Eastern Caribbean Central Bank (ECCB) from 1999 – 2001 where she was instrumental in the establishment of the ECSE. She was also a Marketing Specialist in the Ministry of Commerce and Industry in St Lucia. Ms. John is a Fellow of the Institute of Chartered Secretaries and Administrators (ICSA) and a member of the Institute’s Canadian chapter. She holds a Bachelor of Commerce Degree in Finance & Marketing from St Mary’s University, Halifax, Canada and a Certificate in Advanced Export Marketing from the Training Institute of Singapore. Mr. Wendell E Lawrence, who is currently a Financial Consultant and Chairman of Caribbean Governance Consultants Inc., was the Financial Secretary of St. Kitts and Nevis for sixteen years until his retirement from that position at the end of April 2005. He has also held a number of other public service appointments included Economic Planning Officer, Assistant Comptroller of Inland Revenue, Examiner of Accounts and Director of Audit. His other relevant experience include directorships of various private and public sectors Boards throughout the region and employment at KPMG in Jamaica as an Accountant and at the Mona Campus of UWI as a part-time Lecturer in Accounting Theory. Mr. Lawrence holds the BSc (Management Studies) degree with first class honours and the MSc (Accounting) degree from University of the West Indies, as well as the MSc (Financial Economics) degree from the University of London. 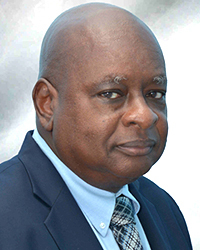 He has been a member of the American Institute of Certified Public Accountants for over 25 years and a member of the St. Kitts and Nevis Association of Chartered Accountants since its inception some two decades ago. Elizabeth L. Morgan (formerly Elizabeth Morgan Schurig) represents a wide array of clients faced with multi-jurisdictional tax, estate, and business planning issues. She is experienced in the design of complex estate and business plans for U.S., non-U.S., and dual-citizen clients, and in assisting such clients with their pre-immigration and expatriation tax planning. Ms. Morgan frequently advises clients on the resolution of international tax and treaty issues in connection with their estate and business planning, and serves as outside counsel to several high net worth family offices. She has formulated and administered estate and business plans for individuals and entities with ties to Australia, the Bahamas, Canada, the Channel Islands of Jersey and Guernsey, China, Costa Rica, the Czech Republic, Dubai, France, Germany, India, the Isle of Man, Israel, Italy, Liechtenstein, Mexico, Nepal, the Netherlands, New Zealand, Oman, Panama, Portugal, Spain, Switzerland, and the United Kingdom. In addition to her expertise in the design, administration, and tax compliance of both inbound and outbound foreign trust and business structures, she has an extensive background in traditional probate, trust, and estate administration. A frequent author and speaker in the areas of domestic and international estate planning, asset protection, and foreign trust planning and tax compliance, Ms. Morgan has been quoted in various publications, including Practical Accountant and Bloomberg Wealth Manager. She is a contributing author (since 1995) and co-editor (since 2000) of the four-volume treatise, Asset Protection: Domestic and International Law and Tactics (Thomson/West Group, updated quarterly). Ms. Morgan is Board Certified in Estate Planning and Probate Law (Texas Board of Legal Specialization), is a member of STEP (Society of Trust and Estate Practitioners), has been named a Texas Super Lawyer every year since 2003 by Texas Monthly and Law & Politics magazines, is listed in The Best Lawyers in America, and has been named in Worth Magazine's Top 100 Attorneys list every year since 2006. 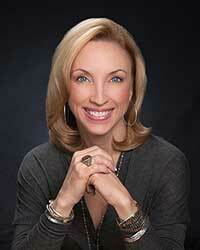 Ms. Morgan graduated from The University of Texas School of Law in 1988 after receiving her B.A. in English from Baylor University in 1984. She has four energetic children and devotes volunteer time and resources toward the promotion and advocacy of quality education and children’s issues. 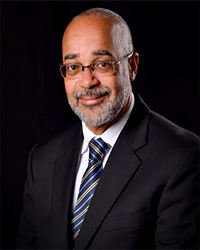 Dr. Didacus Jules is currently the Director-General of the Organization of Eastern Caribbean States (OECS). Dr. Jules career has spanned the public, private and NGO sectors. He has been a Vice-President-Human Resources with Cable & Wireless; Permanent Secretary –Education and Human Resources Development in St. Lucia; the inter-regional coordinator of the International Literacy Support Service (ILSS); Resident Consultant to the National Research and Development Foundation of St. Kitts and Permanent Secretary for Education and Culture/Chief Education Officer in Grenada. 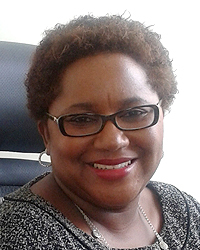 Dr. Jules is currently an editorial member of the International Journal of African and African American Studies, American Educational Research Association, Comparative and International Education Society and the International Association for Education Assessment. "The focus will be on providing scholarships for deserving individuals to get a chance at higher education."